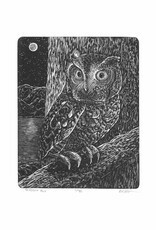 This is a print from an engraving entitled "Screech Owl". 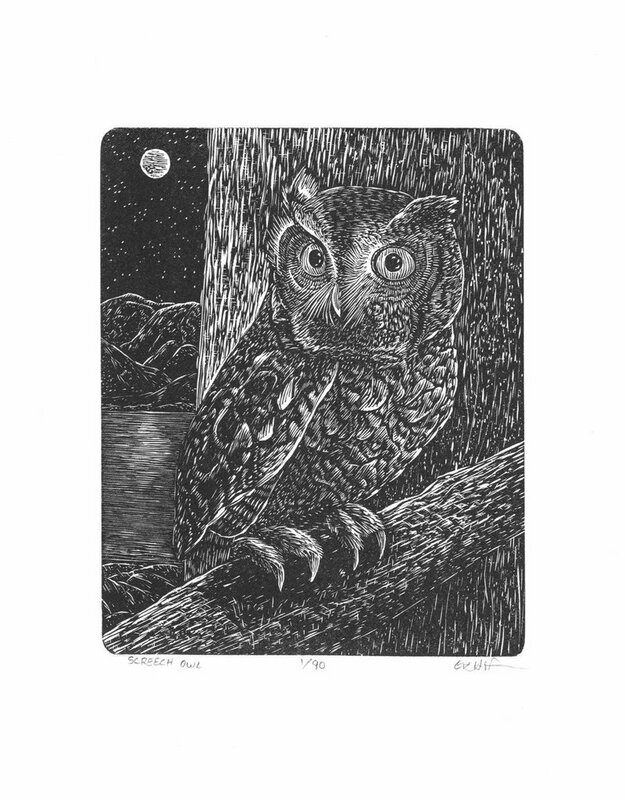 It is signed and numbered from an edition of only 90 prints. The image is 4 x 5 in. printed on a 6.5 x 7.5 in. piece of German Zerkall book paper.